New lives born here before summer officially ends. 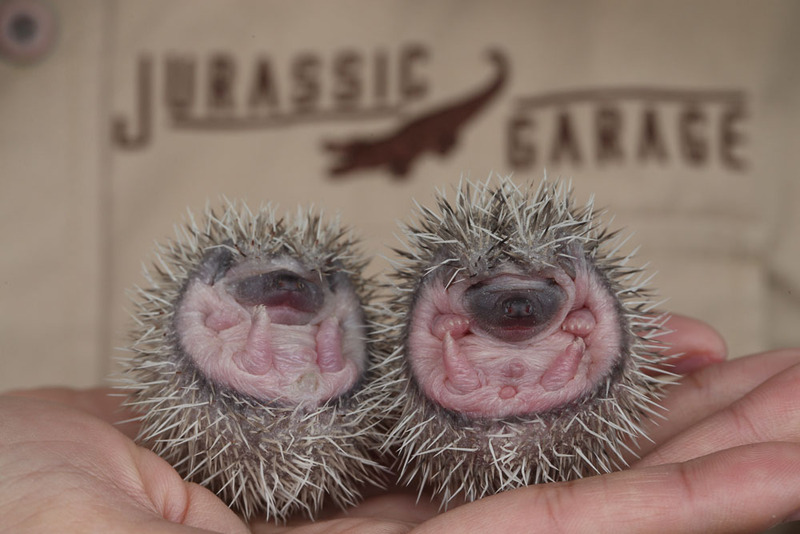 Day 2 – September 1st – Amy listening to ABC song while nursing her hoglets. At the moment in here we have 3 mothers with newborn babies. What a lovely start of September having 3 new arrays of hedgehogs! Day 3 – Sneak peek into this albino mother’s nesting box. She made herself dirty which is a natural behavior to mix scents and avoid predators. We cannot give her a bath in the coming 6 weeks… But it’s all good. Housekeeping by us still on! Ziggy the iguana’s favorite season has started! 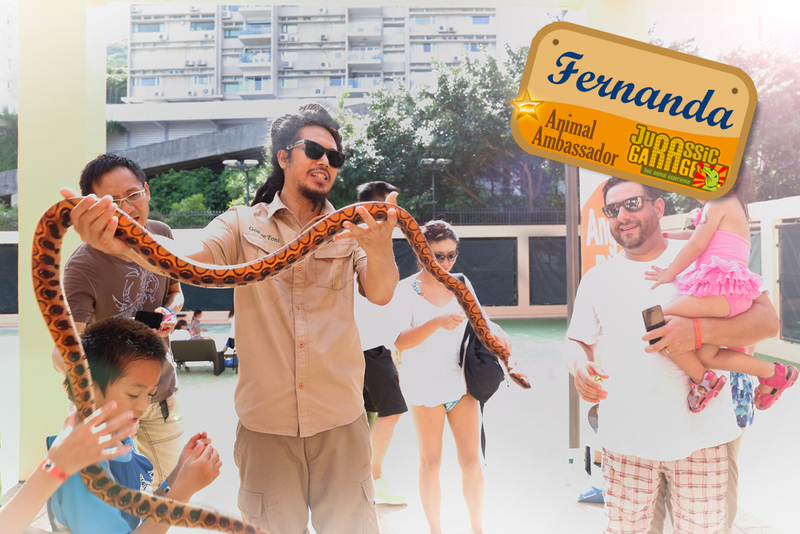 This gentle giant 6-footer enjoys his everyday basking or shower in our outdoor enclosure. “Raindrops keep falling on my head” is a happy song for our rainforest family here! Regular health checkup. 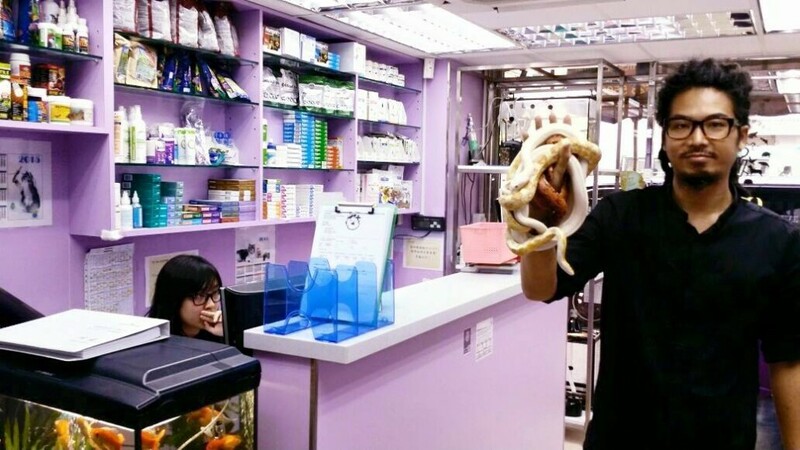 Easy job for the vet as our snakes are just perfectly healthy. New critters! 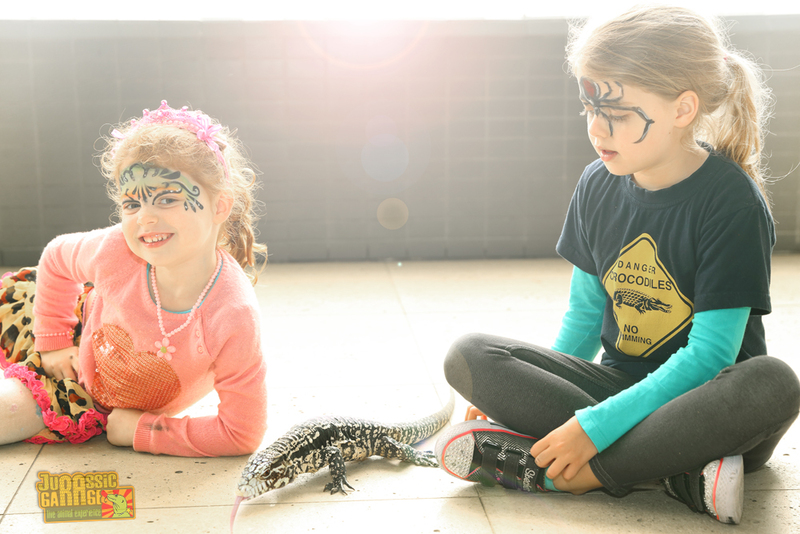 We’re going to include an army of beautiful beetles in our animal ambassador team! 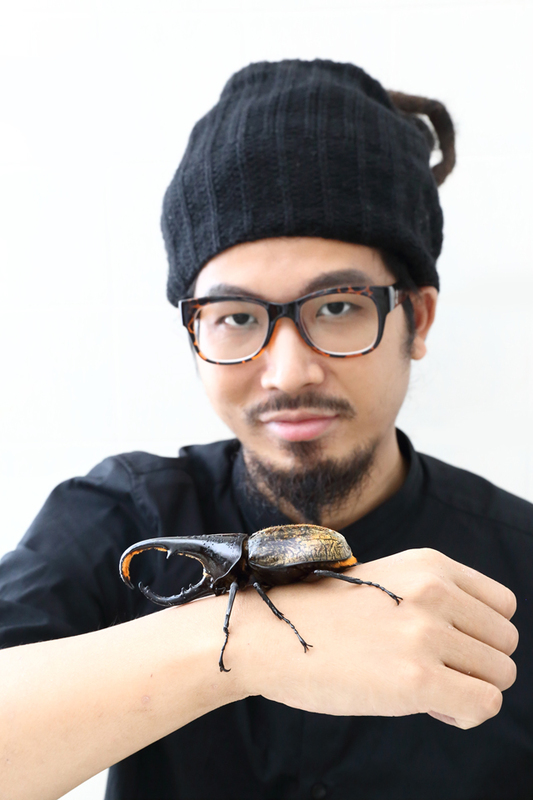 The one Goatee Toni holding in the photo is the renowned Hercules beetle, the largest rhinoceros beetle on earth! He’s just one of many beetles just arrived to our menagerie. They’re all hand-picked for the best quality and definitely the favorite insects for many kids. Book us now! How many of us have you seen? 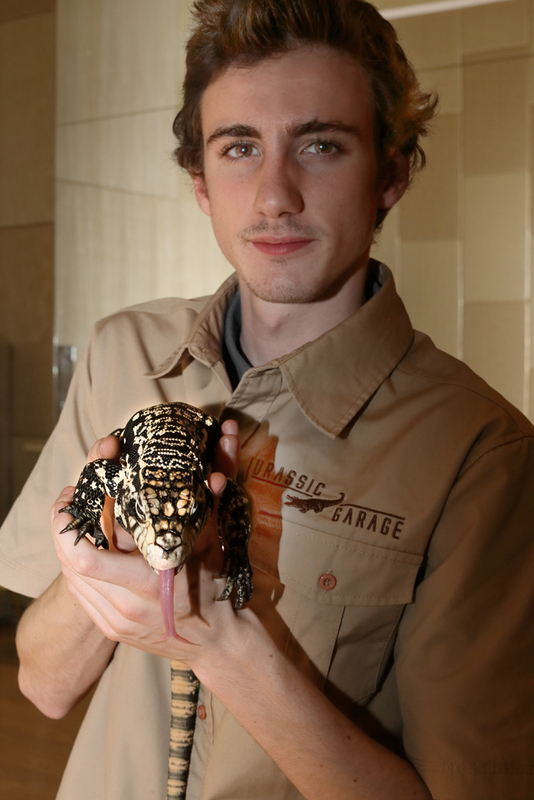 Joseph handles one of our juvenile Argentinian tegu lizards and shows his amazing tongue to our audience.